This idyllic complex includes two log cabins (total area 57 m²) side by side. 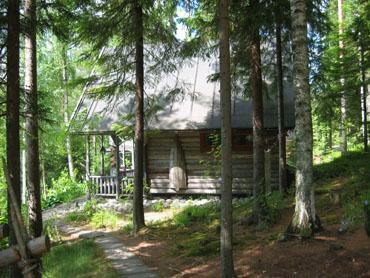 The cabins are located by clean Pond Ahveninen surrounded by outstanding scenery of protected areas and old forests. Cabin VATUNKI 22 m²: livingroom with single bed and sofa bed, loft with 2 mattresses. Fireplace. Smokesauna can be reserved from owner. 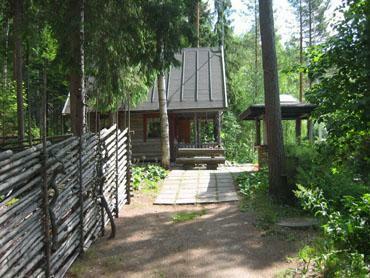 Cabin POKKA 35 m²: downstairs sofa bed, upstairs 3 sofa beds. 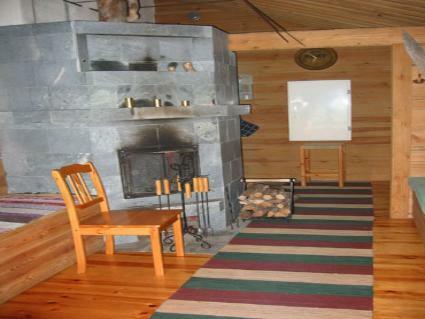 Wood heated sauna, washroom, shower and indoor toilet (indoor toilet requires manual flushing by pouring water from bucket into the toilet-seat). Both cabins have: gas fridge and -cooker, wood cooker and oven, solar panel lights/candle lights. Water comes from the pond and is not examined every year, so boiling the drinking water is recommended or customer can bring drinking water. Otdoor fire place with roof, tepee, lean-to shelter. Distance to shore 10 m, sandy bottom, rowing boat and dock. Outdoor toilet. 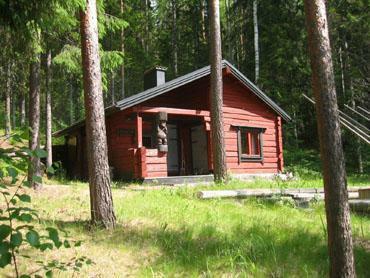 Cottage in situated in the protected area Natura. Varkaus 10 km, airport 20 km, Pieksämäki (railway station) 30 km, Vattuvuori ski center 15 km, spa Kuntoranta (Varkaus) 13 km, spa Vesileppis 22 km, Kartanogolf Joroinen 20 km, Kolovesi National park 26 km, riding stables at Varkaus ab. 8 km. The area is private and perfect for people who love nature activities e.g. fishing, hunting, hiking, picking berries and mushrooms. 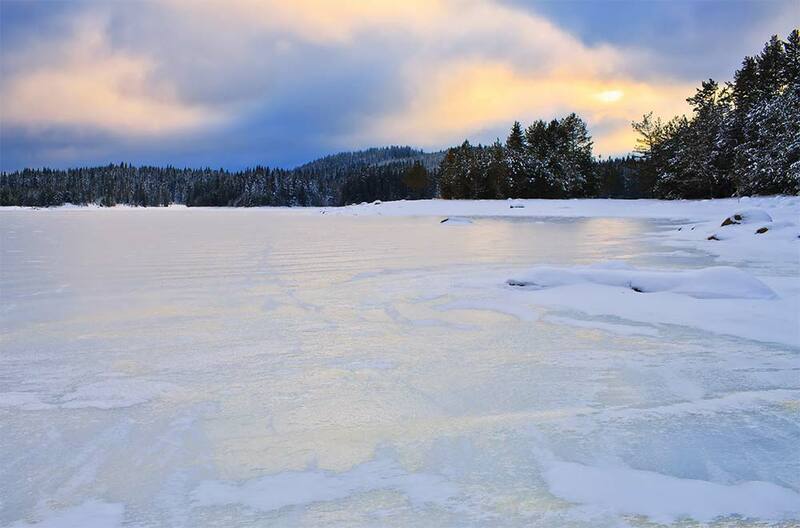 Canoeing, skiing and horse riding are also available in a short distance. The owner rents out at extra cost: bikes, fishing tackles, canoes, snowshoes, bed linen, final cleaning. Erahuolto tel. +358 50 559 8145.